Calling all wildlife enthusiasts! Between its mighty glaciers, thundering waterfalls, and erupting geysers, southern Iceland deserves every bit of the hype it receives for its dramatic and awe-inspiring landscapes, but its thriving fauna should also be added to its impressive list of natural wonders. If your ideal vacation always includes seeking out the local critters, this post has your name all over it. Read on to discover our favorite animal-related things to do in Reykjavik, both on land and sea. Also check out the best deals on seeing the Northern Lights! Seek out a whale of an adventure. Every year, a variety of migrating whales embark on a journey to the North Atlantic, making Reykjavik's chilly waters a world-class destination for cetacean sightings, especially in the summer. 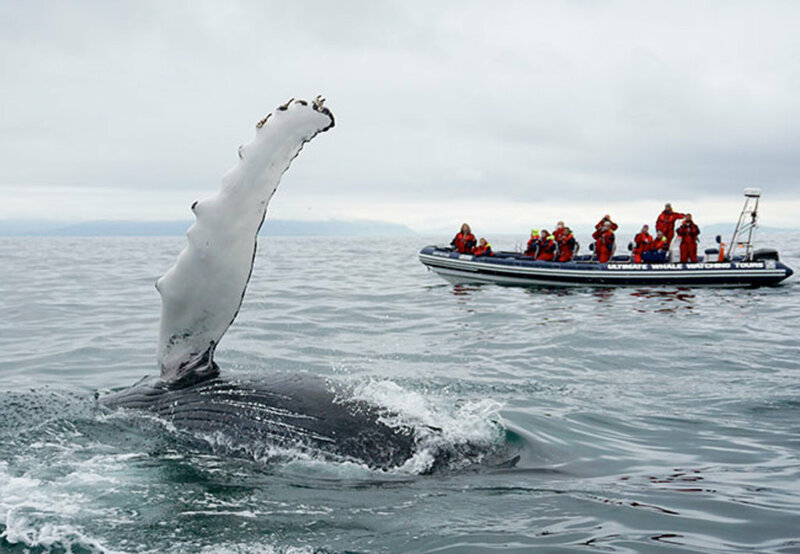 Venture out with the expert guides at Reykjavik Sightseeing for a whale-watching excursion to the teeming Faxa Bay, where you're likely to spy majestic humpbacks, minke whales, playful white-beaked dolphins, and small harbor porpoises in the icy surf. As you roam the seas in search of the best spots for whale activity, your small, rigid-inflatable boat allows you to get close to the incredible mammals, and also zips through narrow ocean inlets and shallows that aren't accessible to larger vessels. Scout the waters for puffins and seabirds. The rocky islands and outcroppings of Reykjavik's coast are a bird-watching paradise for avian aficionados, and the guides at Reyjavik Sightseeing know just the places to find lots of feathered friends. 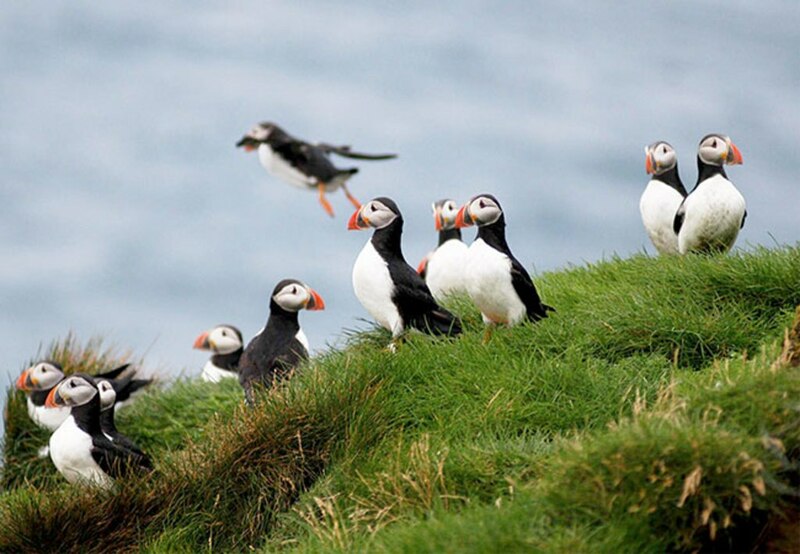 Grab your best pair of binoculars and head out on an action-packed cruise to the tiny islands of Akurey and Lundey, the preferred nesting grounds of adorable and plucky Atlantic puffins. Once you get up close to the lively colonies, your skipper kills the engine, giving you the perfect opportunity to capture amazing shots of these brilliant-beaked birds without disturbing them. Throughout the adventure, keep an eye out for a wide range of other native seabird species, too, which include black guillemots, terns, cormorants, and gannets. Chase the perfect catch in Faxaflói Bay. Cruise out of Reykjavik's harbor and take to the open seas on a fishing expedition in Faxaflói Bay, whose waters brim with schools of fish. 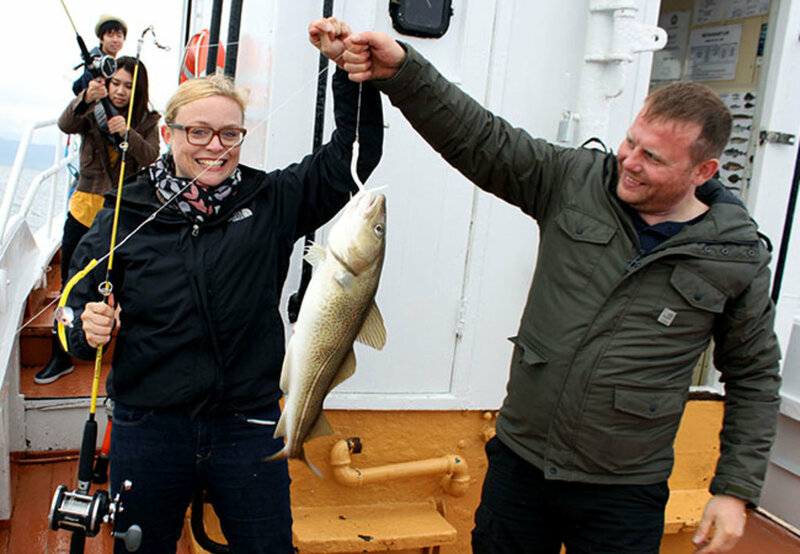 Put your angling skills to the test as local fisherman partnering with Special Tours lead you to their favorite fishing grounds, in which North Atlantic species like halibut, cod, catfish, haddock, and pollock are likely to bite. After reeling in your fresh catch, hand it off to the on-board chef, who tosses it right onto the barbecue so you can feast on the rewards of your efforts. Not a seasoned angler? No problem-the friendly crew members welcome all ability levels, and the views of the coastline alone make the trip more than worth it. With so much wildlife to seek out around Reykjavik, what animal-filled outing will you choose? Reykjavik Residence Hotel combines hotel services with self-catering apartments that offer modern kitchen facilities, soundproof accommodation just around the corner of Reykjavik's main street, Laugavegur. Modern hotel in a quiet, city-centre district, located 400 metres from Laekjartorg Square, and off Laugavegur, the main shopping street. The 43 individually-styled rooms and suites have wooden floors; all offer satellite television and wireless Internet access. The hotel's Siggi Hall restaurant serves innovative Icelandic dishes prepared by one of the country's most renowned chefs. Effective September 1, 2017, the city/local tax will increase to ISK 333 per room, per night, collected at the property. For more details, please contact the office using the information on the reservation confirmation received after booking. Located in the heart of Reykjavik, this hotel is within a 5-minute walk of Reykjavik City Library and Reykjavik City Hall. Hallgrimskirkja and National Museum of Iceland are also within 15 minutes. Located in the heart of Reykjavik, this romantic hotel is within a 10-minute walk of Asgrimur Jonsson Collection and Reykjavik City Hall. Hallgrimskirkja and National Museum of Iceland are also within 15 minutes. Take a day off from city life and escape to the inner highlands and geothermal area of Landmannalaugar. Uncover the natural beauty of Iceland's countryside.